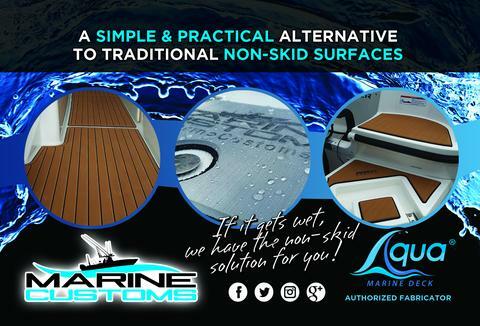 We offer a simple & practical alternative to traditional non-skid surfaces. If it gets wet, we have the non-skid solution for you! Schedule your appointment today to have your boat scanned and decked out by Marine Customs.